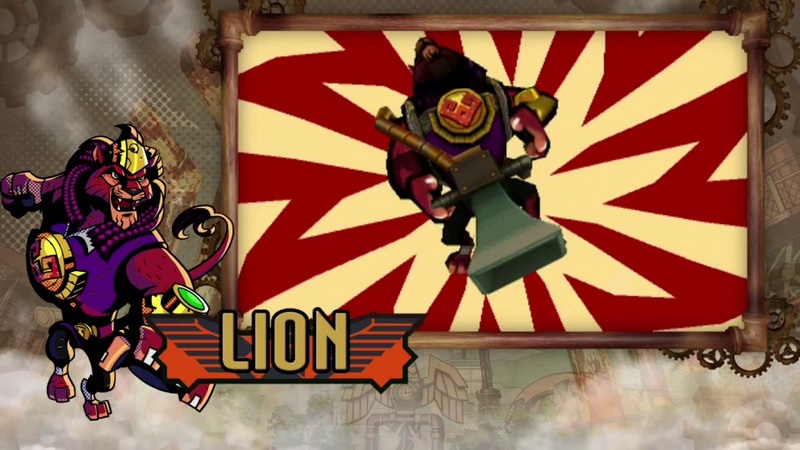 The Advance Wars developer goes steampunk. Advance Wars, with its perfect pixel art, level design and mechanics, still stands as one of our all-time favourite RTS titles, on any platform. Its developer, Intelligent Systems, is also responsible for one of our other all-time favourite genre entries, Fire Emblem. 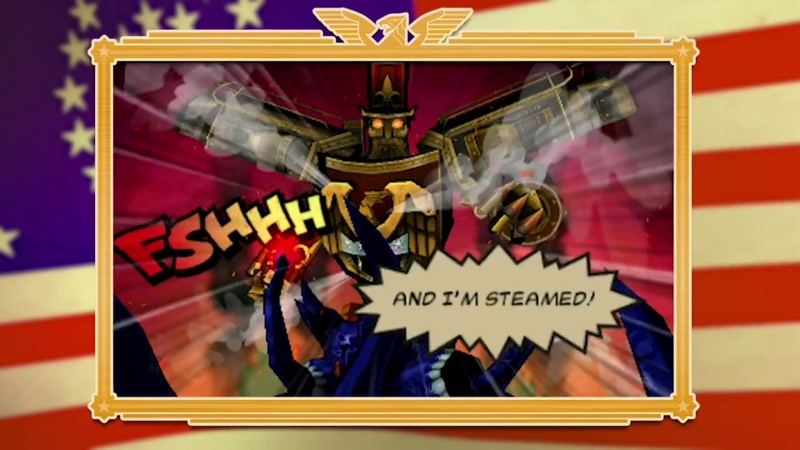 The team's latest, Code Name: STEAM, matches some of the qualities of its past works, but not all. It's not a bad game, but there's a few design decisions that grate. The game's story knits steampunk with alien invasion, as the brave agents of special forces Code Name: STEAM (Strike Team Eliminating the Alien Menace) gather around their leader, US President Abraham Lincoln, and head their airship Lady Liberty. This takes them from Buckingham Palace through to Boston and the White House in Washington D.C., then even further into the desert and up into a world-renowned fantasy realm. Character design is brilliant, with each agent feeling individual, and the comic book-like cut-scenes are superb. More shame then the same can't be said about the diversity of the aliens. Gameplay mixes third-person shooter with turn-based strategy. You send a squad of four, each equipped with two weapons and a boiler on their backs into large gridded levels. Between you and the level's completion are numerous enemies, traps and obstacles. Move or fire a weapon and some of the boiler's steam is exhausted. Occasionally we'll climb into the cockpit of a giant robot for short FPS moments and to take on alien bosses. But the core of the gameplay, obviously, is in the classic mix of tactics and strategy. But despite a good range of weapons, variation's limited. Clashes, enjoyable as they are, are limited in scope even after fifteen hours of play, with only the occasional moment of variety rearing its head. There's some annoying issues, notably the loading time between rounds, even after an optimisation update cut the times down. Your opponents also seem to take an age to work out their next move, requiring you to kill time after your round's over, staring at the "aliens are advancing" icon and waiting for the AI to make up its mind. Equally problematic is the camera, which isn't adjustable even when the enemy's taking their turn, and sticks to line of sight. You lose the ability to gain an overview of the action. Campaign rounds are nicely nippy though, with levels done and dusted in ten to twenty minutes. A good length for handheld battling. If you've a Fire Emblem Amiibo, you're able to access some extra support via guest appearances right from the start of the game, though the FE characters are weaker and near useless compared to the regular STEAM agents. While each has their individual weapons, new options become available as you collect coins and we can add new boilers with different capacities and recharge rates, while each agent can trigger a powerful attacks once per round that can end up being a real game-changer. The boiler unlocks and your attempts at improving your scores for each level so you can work your way up StreetPass rankings brings some replay value to the single-player. Better than that though is the finely-tuned multiplayer mode, which offers local and online duels with freely customisable teams. Especially great? Here waiting times are eliminated in favour of timed rounds. And the knowledge that you're facing a real opponent on the virtual game board ensures an adrenaline rush. 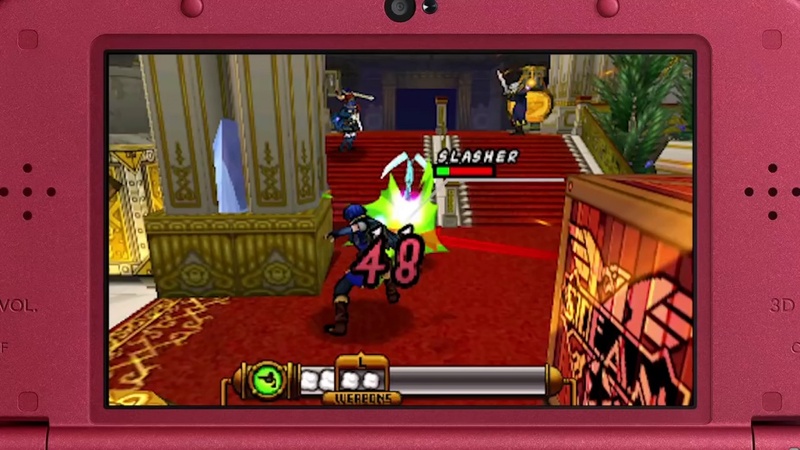 It's one of the better online PvP modes for a title on 3DS. Code Name: STEAM is a decently-built strategy game with turn-based battles. It's solid entertainment, but it's lacking the charm that so captivated us in Advance Wars, and the qualities that had us hooked to Fire Emblem titles in the past. A good turn-based strategy for your handheld - just not the best that there's ever been. Nice art style, decent turn-based strategy. Long waiting times despite update, not enough variation.